There are significant differences between WordPress.com and WordPress.org, yet it is a good decision to use the .com platform during the initial stages. The latter one is easy to use, but it features tonnes of features, which requires experience to handle everything. I’m not saying one of them is hard, but the .org version features a lot of things to worry other than just publishing. Those added features bring a lot to the table, which eventually increases the functionality of the blog and makes it more user-friendly. Using those features, one can easily start a business and there are dozens of proven ways to earn from the content you publish. I guess you already made the mind to make the switch and all you’re looking for is the guide to make that possible. First of all, it is possible to make this transition with keeping everything as it is. Secondly, all you need to do is to follow the procedure mentioned in this guide and everything will be good to go. 1 How to Move WordPress.com to WordPress.org? How to Move WordPress.com to WordPress.org? As I said, the procedure is not that tough, if you follow the steps one by one. Just ensure you don’t skip any of these in hurry, and read everything mentioned. The First thing you will to have a domain and ideally a WordPress optimized hosting for expert support and an overall faster and secure site. Out of the many I have tried and tested over the years I would recommend SiteGround where you can get your site hosted for as little as $3.95 per month. They will give you a Free domain, Free SSL certificates which is the golden standards for 2017 and beyond. That is if you care about having a website that ranks great in Google. 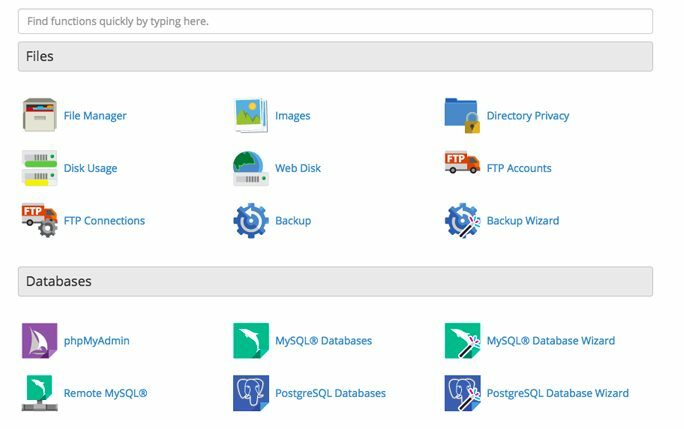 Now, login to the cPanel, and over there, click on the WordPress icon. Or, there can be other tools like SimpleScript which can handle the WordPress installation for you. Click on any of the available tools and move ahead with the on-screen instructions. Select the domain, enter the credentials and hit the Install button. Within next five minutes, the new WordPress blog will be setup, and you’ll be emailed the login details. 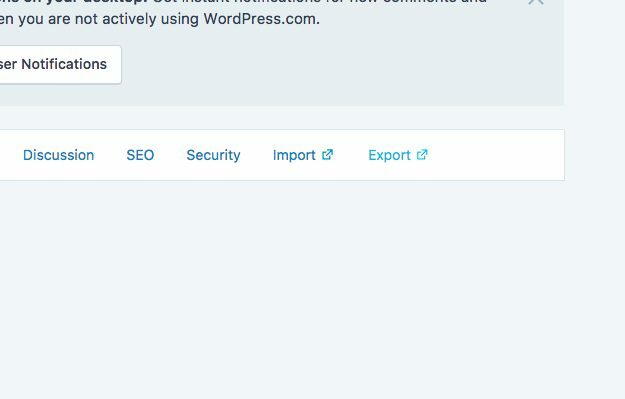 Login to the WordPress.com account, and move to the Dashboard of the primary blog you want to transfer. Now, click on the Export tool which is available under the Tools section of the Dashboard. Over here, you should go with the Free option, as the Guided Transfer is chargeable. Moving next, a screen will appear, confirming the content you wish to export. By default, it is set to All Content and you should stick to the same. Click on the Download Export File button and everything will be downloaded in an XML file. Unless the blog had hundreds of posts, a single XML file will be enough. Login using the credentials on the freshly installed blog, and get inside the Dashboard. Over here, under the same Tools option, click on the Import option. From the available options, click on the WordPress. It will initiate the installation of the WordPress Importer plugin and you need to proceed with the same. Once the plugin is installed, it will redirect you to a new screen. Over here, you’ll be asked to import the XML file, which shouldn’t be heavier than 32MB. In most of the cases, it doesn’t cross that mark. Hit the Choose File button and select the file you saved on the Desktop. Once the files are imported, you’ll be asked to assign all the articles to a new user or keep the existing one. You can move with any as per the choice. In case this WordPress.com blog is having a decent readership and following, then redirecting the old links and articles to the newer one is recommended. Yes, they should open the new links at self-hosted WordPress blog. To make that happen, you need to login to the old blog and go to the Store. Buy the Site Redirect module and once it’s activated, you’ll have a simple tool available. Over here, simply enter the new URL of the self-hosted WordPress blog and save the configuration. In the case of file size exceeding the 32MB threshold, you need to use WXR File Splitter that will divide the files into pieces. Thus, making it easy for you to do the export and import procedures. You can install and activate Jetpack plugin (free to install with a dozen of free modules), that can import most of the functionalities to this new self-hosted blog. It will make you feel home. However, this is totally optional! Considering you’ve made the transition successfully, the easy part is over. Working with WordPress.org is not a thing one can learn in a day or two. If you’re really interested in knowing at least, the basic details to keep blog safe and up all the time, I’ll recommend you to have another blog and use it to experiment. Try and check every button and functionality you see inside the Dashboard and learn everything as you can. This knowledge you’ll curate is going to help you keep the primary blog safe from everything. Or, you can hire a professional who can take care of the blog. There are a few recommendable hosting plans you can look at. Managed WordPress Hosting plans is what you should look for which includes everything related to the management part, leaving you with the publishing work only. How was the procedure? Easy to remember and follow?